Mehr Ensemble is Australia’s leading Persian music group. Formed in Tehran and now based in Melbourne, they perform ornate original compositions from the Radif tradition of classical Persian music, whilst also drawing inspiration from the diverse music of Iran’s neighbouring regions. 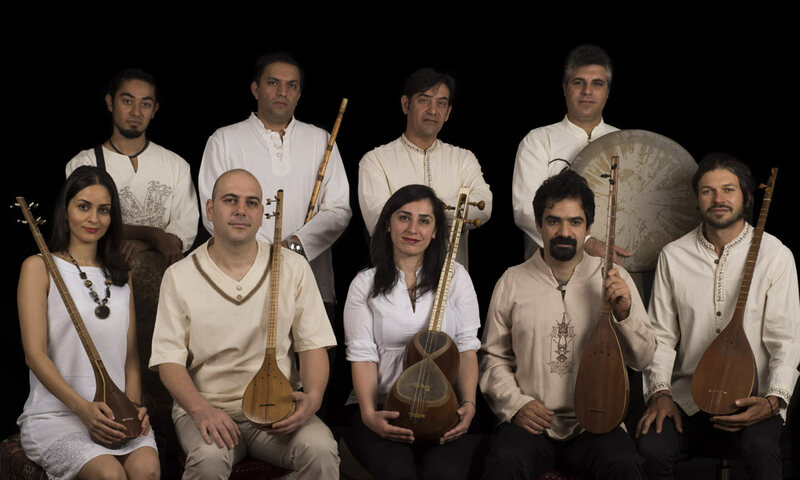 In the time-honoured fashion of authentic Persian music, Mehr Ensemble takes its aesthetic direction from classical Persian poetry, especially that of Sufi mystic Mawlana Rumi. Weaving intricate lines of verse and melody, ornate instrumentation and layered vocals, Mehr Ensemble creates a musical tapestry that is simultaneously beautifully complex and strikingly simple. Led by composer Puya Mehman Pazir, the group features Australia’s most respected Persian musicians.